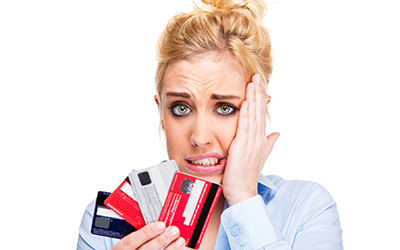 Talk to different consumer credit counseling agencies before choosing one! This is very important as you want to be sure you're signing up for a program with the least amount of risk to you. For example, debt settlement is completely different than a debt management plan. While debt settlement (with a reputable company) may be an option appropriate to your situation, there could be adverse effects on your credit. Debt management, on the other hand, allows you to safely pay back your credit card debt at reduced interest rates and even reduced payments. Even though an agency is a "non-profit", there will almost always be minimal fees involved with managing your credit card debt. Reputable agencies will only charge the minimum amount in fees that are allowed by the state in which they do business. However, it's always a good idea to discuss this with your counselor to be sure you aren't paying more than you should. Remember, even non-profit agencies have to pay for employees and office space, which is what these fees are used for. Do you offer financial educational materials? Financial education should be the backbone of any debt counseling experience. Financial education from a debt counseling agency should include, at a minimum, an in-depth workbook or guide to educate you on the basics of financial management. 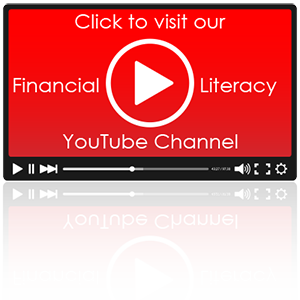 Some agencies will even produce videos to help you on your path towards a debt-free life. Are you an accredited agency? By whom? Make sure the agency you choose has certifications from reputable associations before choosing to work with them. Most non-profit consumer credit counseling agencies will hold an ISO 9001:2008 registration, which illustrates the agency's commitment to quality, customer satisfaction, and continual improvement of their services. Additionally, you'll want to ask if the agency adheres to an industry Code of Practice, such as that of the Association of Independent Consumer Credit Counseling Agencies (AICCCA). Also, be sure to check the consumer credit counseling agency's rating with the Better Business Bureau. These are important because they give you a real look at how people feel about their experience with the agency, usually with no holds barred. References can best be found by researching any number of consumer review sites. Do a search for the consumer credit counseling agency's name and "reviews". You should be able to find reviews for almost any agency that's been in business for a while. One example of a consumer review site is ConsumerAffairs.com which not only provides consumer reviews of the agency, but it also shows the agency's overall rating compared to other consumer credit counseling agencies. For how long has your agency been providing these services? The experience that a consumer credit counseling agency has with managing consumer debts is very important because this usually translates to the experience of their counselors. Check their website, usually in the About Us section, to find out how long the agency has been offering consumer credit counseling services. After solving my immediate problem, will you also assist me in avoiding such situations in the future? This should be the ultimate goal of every consumer credit counseling agency, which is why financial education is so important. The last thing a reputable agency wants to see is a returning customer. The goal is to get people out of debt and provide them with the tools and education to ensure that they avoid similar situations in the future. Is your Bankruptcy Counseling approved by the U.S. Department of Justice? If the consumer credit counseling agency offers bankruptcy counseling services, be sure that they are listed as an approved agency by the U.S. Department of Justice Executive Office of United States Trustees (EOUST). Any agency purporting to be an approved agency should have this listed on their website since this is a requirement of all approved agencies. And, only approved agencies can legally provide bankruptcy counseling services. Are your counselors licensed and certified? Reputable consumer credit counseling agencies will ensure that their counselors obtain, and maintain, the appropriate certifications for their profession. Certifications for the consumer credit counseling profession can come from one of several sources, such as the Association for Financial Counseling and Planning Education (AFCPE) and the Partnership for Financial Education. Counselors can have several certifications or just one, depending upon their area(s) of expertise. Some consumer credit counseling agencies provide a variety of services and, therefore, will need to ensure that their counselors maintain the appropriate certifications for each. The best way to verify that the agency's counselors are certified is to visit the agency's website and look for a link that mentions the agency's counselors specifically. You could be looking for links to pages like "Meet Our Credit Counselors", "Meet Our Team", or "Certified Credit Counselors." Do you offer all terms and conditions of the contract in the form of a written agreement? Be sure to read the service agreement carefully and ask questions on any and all items that you don't understand. How will the debt management program work? A Debt Management Program, also known as a DMP, is a service offered by consumer credit counseling agencies to help qualified consumers pay down their credit card debt in a reasonable timeframe. Consumers will make one monthly payment to the agency and they, in turn, will disburse individual payments to each of the accounts included on the debt management plan. Creditors, in-turn, will offer certain benefits as a result of your enrollment. These benefits, such as interest rate reductions and elimination of certain fees, are designed to help you get out of debt much faster than you could on your own, making just the minimum monthly payments. What will my new interest rates be? Although interest rates vary from creditor-to-creditor, once you participate in a debt analysis (which should always be free), your counselor should be able to give you an idea as to what the interest rate reductions will be. This is because a majority of major creditors have general guidelines for consumers enrolling on a DMP. However, it's important to note that until a creditor accepts a proposal from a consumer credit counseling agency, there's no definitive answer. When will my interest rates start decreasing? It is not possible to determine exactly when your interest rates will start to decrease, as this will vary from creditor-to-creditor. However, in most cases, once a creditor has accepted the proposal, the interest rate reductions will begin on your next billing cycle. It's important that you always keep a close eye on your monthly statements, even if you aren't using the services of a consumer credit counseling agency. Will you keep my personal information confidential and secure? How will the solutions you provide affect my credit rating? According to FICO, the recognized authority in the credit scoring business, participation in a DMP is not a factor in your credit score; it is considered a neutral mark. Some creditors will report your participation to the credit bureaus after your accounts are closed, and there are still some lenders out there who will view this negatively, even though you're taking control and dealing with your situation. When you close the accounts enrolled in a debt management program, your credit scores will be reduced, though by how much it is impossible to calculate. The reduction is entirely dependent on the material in your credit report at that moment. Please bear in mind that, whether you're enrolled in a DMP or not, it's always recommended that you pay your bills on time as well as pay down your debt. How do you provide your services? By phone, internet or in-person? Each credit counseling agency differs in their availability. There is no guideline on how they provide their services except that you are always required to be communicating with an actual certified counselor. Can your counselors ask my creditors to lower or eliminate interest and fees? Many creditors, especially the larger ones, have standard policies regarding the benefits they offer to consumers enrolled in a DMP. Some creditors will review the account on a case-by-case basis and offer benefits appropriate to the consumer's unique situation. In all cases, it is always in everyone's best interest to obtain the lowest possible interest rates on every account enrolled. A reputable agency will offer assistance through free financial educational material to help you manage financial issues in the future. If an agency charges money to teach you about budgeting and money management skills, steer clear. Once you've narrowed your list of agencies down to a few you would want to use, check each one out with your state Attorney General, local consumer protection agency, and Better Business Bureau (BBB). They can tell you whether consumers have registered a complaint against any of the agencies. If there are complaints filed against an agency, or if it has not responded to the complaints, consider it a red flag. Contact people you know who've dealt with financial problems in the past and are now debt-free. Ask them whether they can recommend an agency. Also, ask for their feedback on the agencies you've selected. There's a good chance they might have worked with one the agencies on your list. Contact the references and get their feedback. Ask what worked and didn't work for them. Remember - the more detailed questions you ask, the better your chances are of finding the right credit counselling agency for you. Choose the agency that offers the best deal and matches your requirements. We are a 501(c)(3) non-profit agency offering credit counseling, housing counseling, reverse mortgage counseling, and bankruptcy counseling services. Our professional counselors are certified through an independent third party; they have an average of over 12 years of experience helping people gain control of their finances. Learn more about us.